Here comes Peter Cottontail, hopping down the bunny trail! 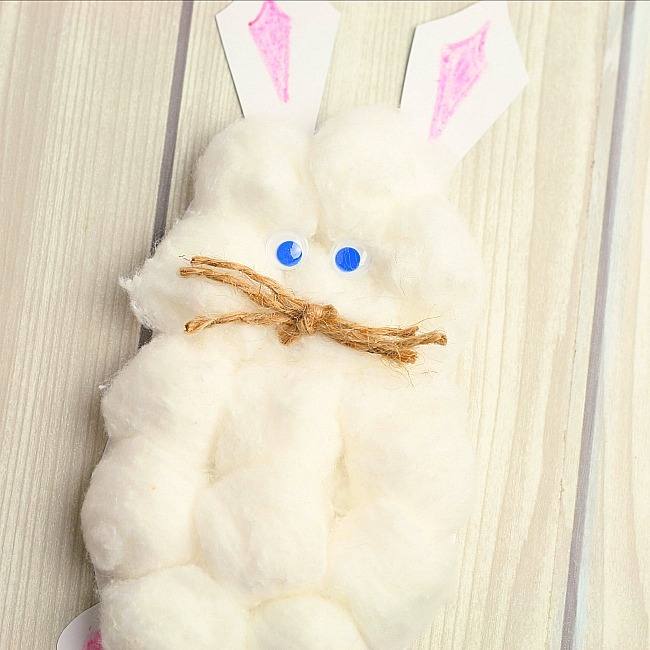 Oh my goodness, isn’t this little hopping bunny craft so adorable? I love that this craft is so cute but so simple to make. 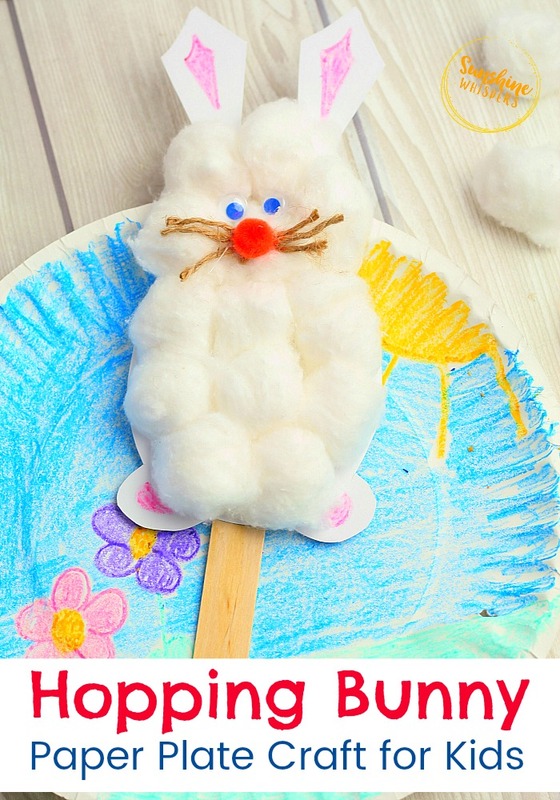 Just imagine your kids sticking the cotton balls on the bunny’s body. If your kids are a little older they can color their own Spring scene. If your kids are still very young, you can draw the scene and they can color it in! 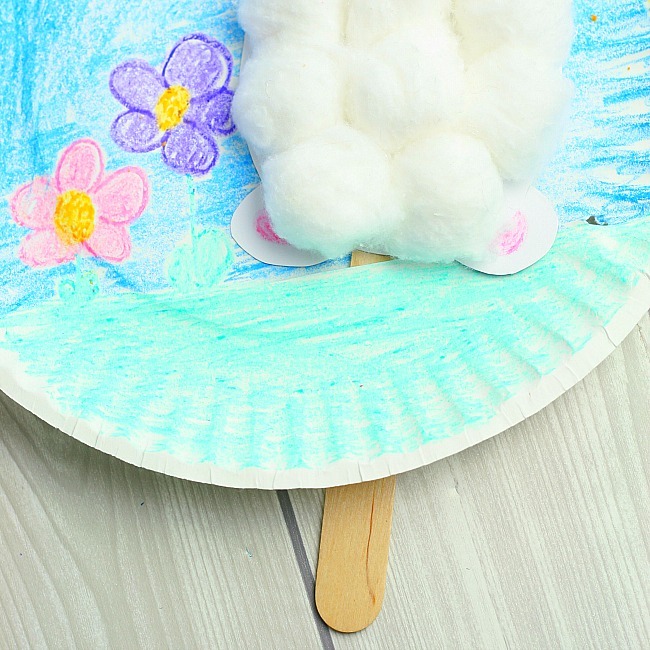 Either way, you probably already have all the materials you need to make this cute little Easter craft for kids! 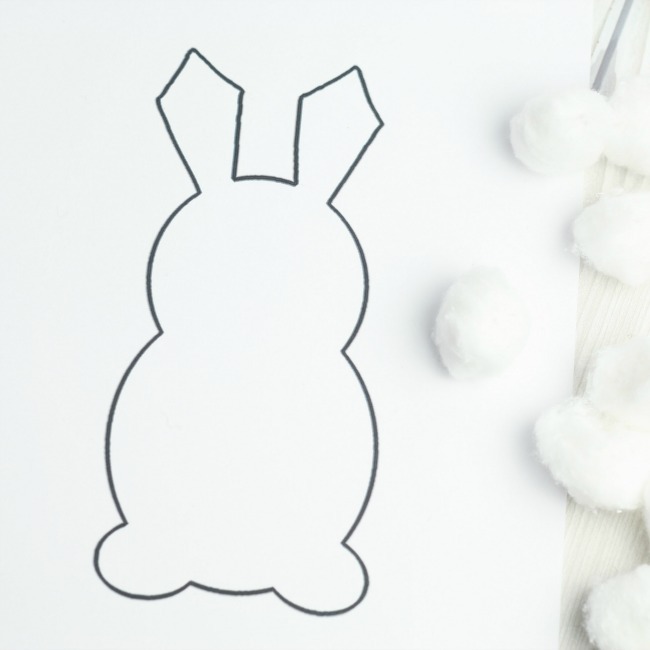 Print the bunny cutout and cut along the lines. Draw pink accents on the ears and feet. Glue cotton balls to the cutout. Glue a set of eyes to the bunny. Cut three small pieces of twine and secure them together by tying another piece of twine around the group. 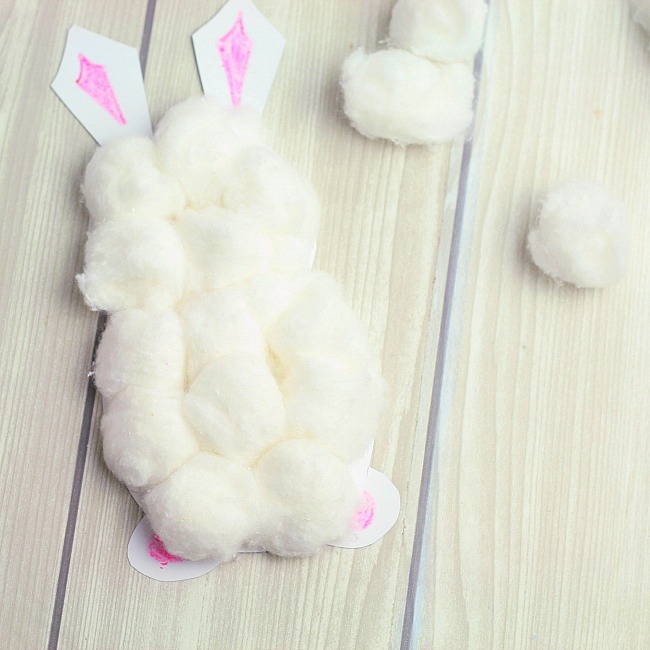 Glue the twine pieces to the bunny as whiskers. Top the twine pieces with an orange pom pom for the nose. 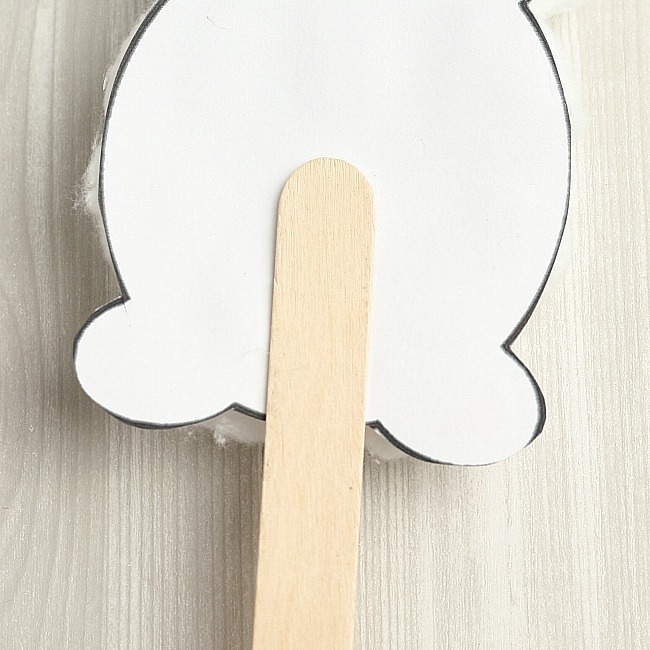 Glue a craft stick to the back of the bunny. 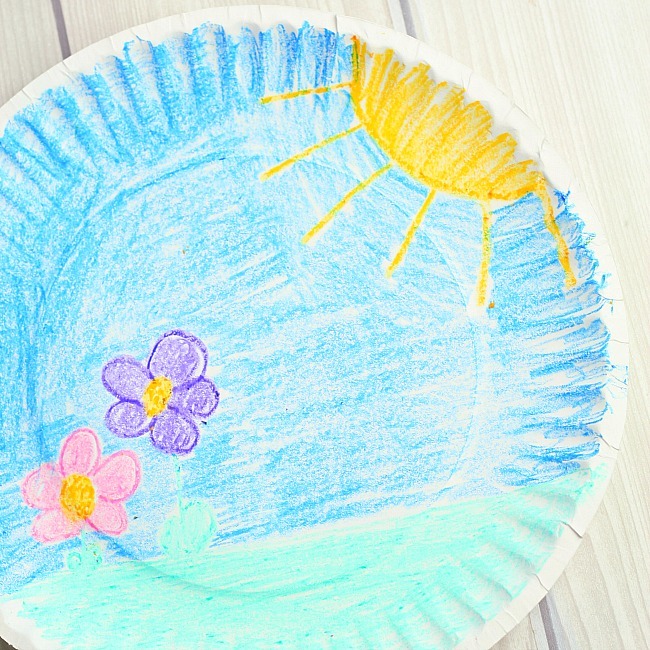 While the glue dries, draw a Spring scene on the paper plate and cut a slit along the bottom of the plate. 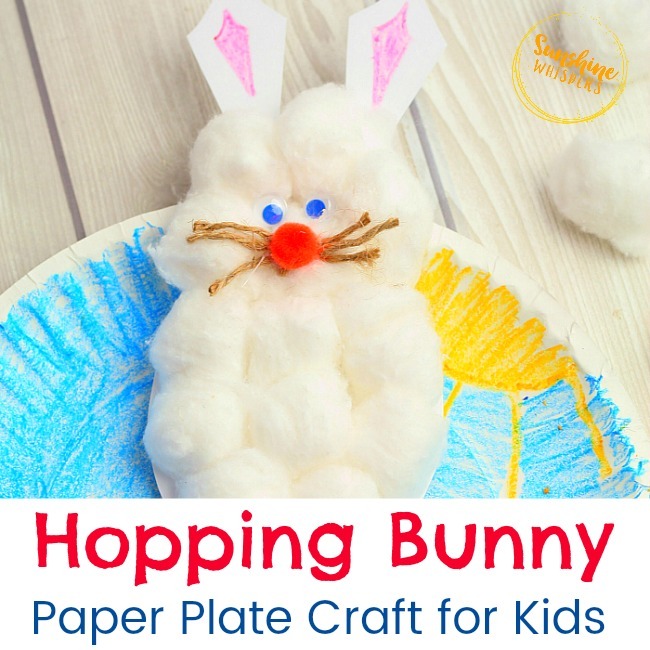 To make the bunny hop, slide the craft stick through the slit and move it up and down across the paper plate. Isn’t this little hopping Easter bunny so cute! Don’t forget to download your free craft printable!